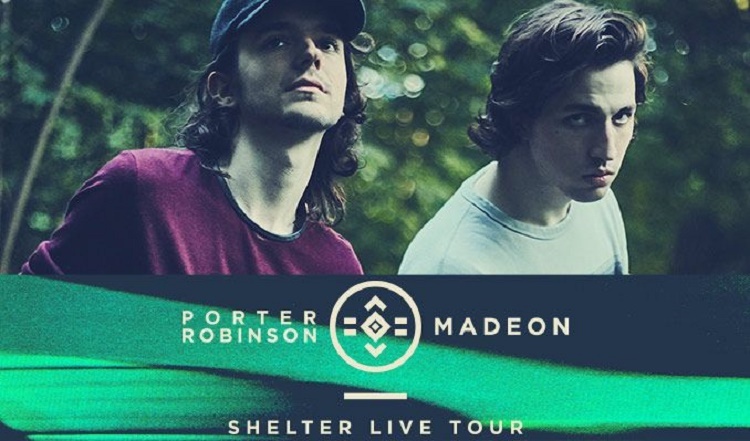 When Porter Robinson and Madeon announced they would be touring together, I knew there was no way I was missing it. So I signed up for the newsletter to get the pre-sale code and the morning tickets went on sale I had purchased them at 10am. I haven’t been to a show in a while and what a perfect way to come back. SHELTER LIVE TOUR HERE I COME. They made their Houston stop this past Saturday at Revention Music Center and I ventured out from under my rock to see them and boy am I glad I did. They are two of my favorite DJs and having seen both a DJ and a live set from Porter, and a set from Madeon as well, I knew both of their unique sounds would mesh together perfectly to create something beautiful. I somehow managed to leave the house without shoes, but didn’t want to risk missing a second of the show by turning around so I popped into Target to get some. Sadly, I still didn’t arrive on time to catch any of the openers, Robotaki and Fakear. But I’m sure they were amazing as well. I thought the stage setup was very nice and I liked it a lot. There were two stands with a screen behind each DJ, and one larger screen behind those two, with lights in between. Once it was lit, it was quite the sight. The show started with a special intro version of Shelter. There were streamers and the crowd went crazy. The first of many for the night! I loved every single second and so did the other attendees. It was really cool to see everyone dancing and singing along to all of the songs. You could really tell every person there was having a blast. 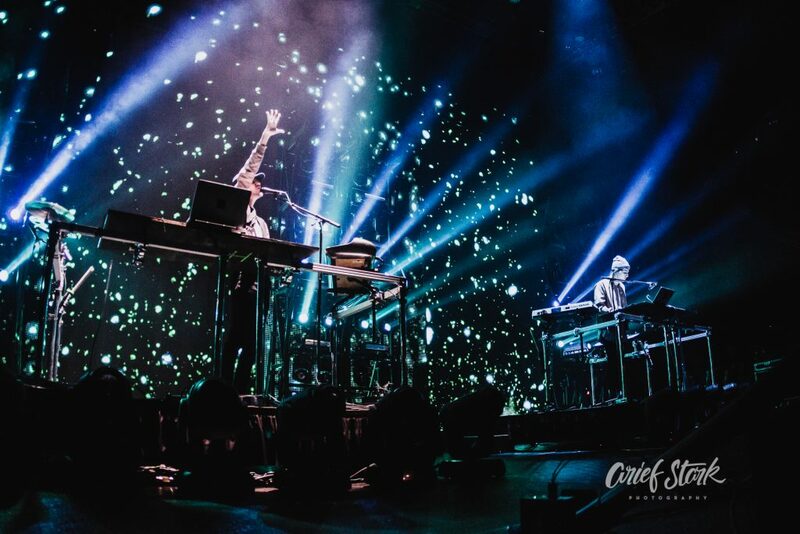 Both Porter and Madeon played on their keyboards and sang live. I honestly didn’t even know Madeon could sing, but he has a good voice and it was a nice surprise. Mashups of all of their songs and special shelter versions of songs were played throughout the night. They ended the show with a mix of “Goodbye To A World” and exited the stage. The lights in the venue were still off so I knew they would come back for an encore of some sort. 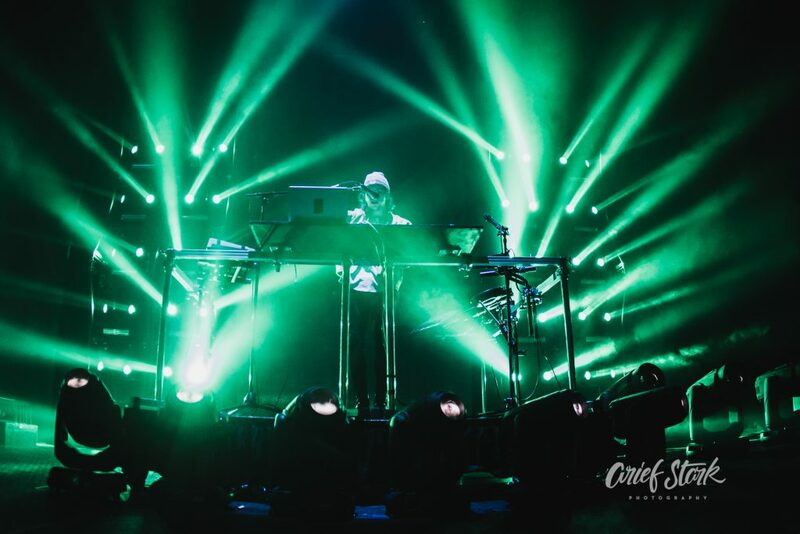 After a few minutes they re-entered the stage and played an instrumental version of “Shelter” with Madeon on live vocals. Then it quickly transitioned into “Language,” because is it even a show with Porter if “Language” isn’t played? It was the perfect ending to a great set. That being said, if you’re coming to this expecting something on the same level as the Worlds live show, you’ll be slightly disappointed. I thoroughly enjoyed this show, but for the most part, it was just really good mashups of their songs. But I still think the entire night was filled with great energy and it was everything I expected it to be. If you’re a fan of either Porter Robinson or Madeon, I wouldn’t skip out on this show.